During the Halloween season, I sometimes find myself trying to find songs that will give me a sense of fear that is in line with the spirit of Halloween. Just as people watch scary movies and go to haunted houses in the hopes of getting their annual dose of adrenaline, music is an experience that often gets overlooked. Just as haunted houses and horror films are a part of the Halloween experience, it would only make sense that music should be as well. Two well-known examples of songs played during Halloween are “Monster Mash” by Bobby Picket, and “Thriller” by Michael Jackson. These two songs are definitely classics, however, since Halloween is meant to be scary, it would only make sense for the music to be scary as well. There is nothing in these two songs that really make you feel even slightly frightened, either in the vocals or the rhythm. If one wishes to escape from this type of music and find some spooky relief for Halloween, there is one genre of music that can fill this empty hole: metal. As someone who is not really fond of metal, I can see why this type of music would seem off-putting for some. For the most part, a lot of metal songs are sometimes incoherent, and usually sound like a bunch of demons with a nasty cold performing at an open mic night. Despite this, there is one band that I have really grown to appreciate, and that is the German metal band, Rammstein. Rammstein is one of the very few foreign music groups that have had significant success in the United States. My favorite album of theirs would have to be “Sehnsucht,” which was released in August of 1997 and was the first German album to go platinum in the United States according to Helnwein Music. Rammstein is unique in the band’s ability to produce sinister-sounding music that is replayable, even to an audience that may not understand what the vocalists are saying. One example of this is in their song “Engel” which is also on the Sehnsucht album. What makes “Engel” so eerie is that it starts of with some ambient whistling followed by a repeated heavy guitar solo which leads into the coarse lyrics sang by the vocalists. Although some people listen to music just for the lyrics, this is not the case for me simply because German is not my native language. However, like other metal songs, one thing to look for is how the vocals accompany the rhythm. In the case of the entire “Sehnsucht” album, the main thing to observe here is how the guitar rifts, beats of the drums and the vocals blend together to produce an enjoyable form of music that can be enjoyed by people of all nations. So why does this make a great album for Halloween? 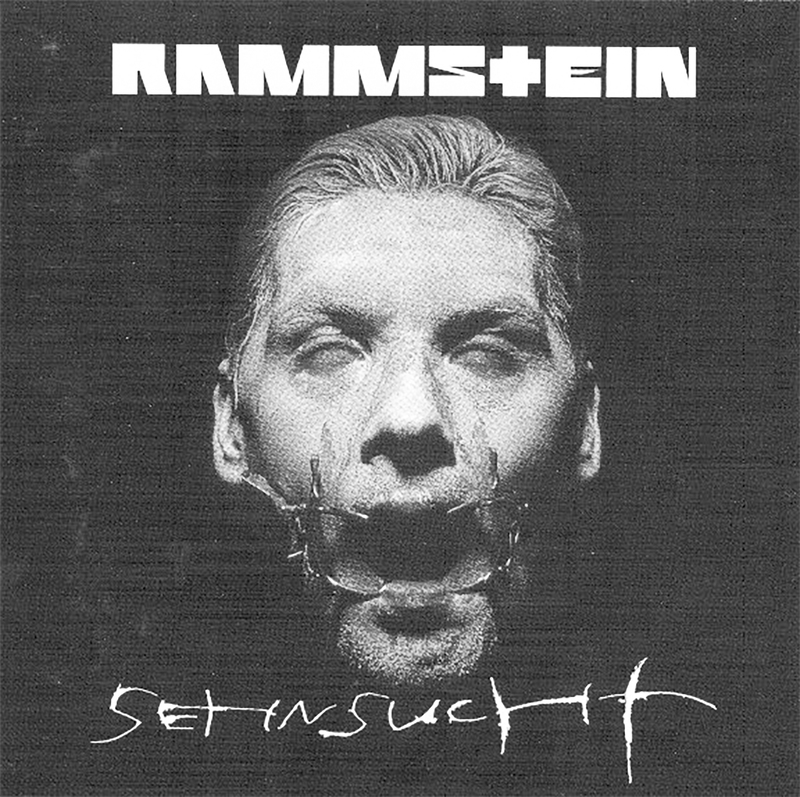 The simple answer here is that Rammstein has produced a horror-filled album filled with eerie sounds and heavy vocals that will make any listener feel uneasy, yet, appreciative of the dark art form that is this album. Also, the fact that many people cannot distinguish what the vocalists are saying from the rhythm adds more mystery and ambiance to how people listen to the album. That is what makes “Sehnsucht” and other albums of the same genre the perfect songs for Halloween listening.